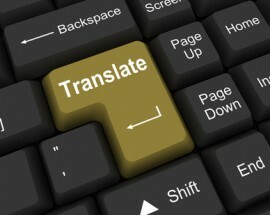 Translation companies - Let's hear it from the good guys! Translation companies – Let’s hear it from the good guys! You read and hear all these horror stories on social media and translation blogs about translation companies. How the owners or project managers have no knowledge about the translation industry, how they only care about profit, how impersonal their emails are (Dear translator/provider) and so on. Some freelance translators and/or translation company owners tell positive stories sometimes about great working relationships with agencies, high rates, communication, I even wrote a thank-you letter to my favorite agency client a few years ago. If you’ve known me, read this blog before, read one of my interviews online, followed my social media shares and/or attended one of my presentations: this is a great example of making great contacts through LinkedIn groups! I don’t even participate much in discussions of that specific group; I just share our Weekly Favorites every couple of weeks so group members can discover great content from fellow translation bloggers. It was half a page, clear and concise. I have never read such a nice and short NDA before! … my broader interest would be to establish a working relationship with you going forward in the future, beyond this most immediate project. I think that should be the ultimate goal for both freelancers and clients; to establish mutually beneficial relationships. And he is the first person I’ve know who said that in his very first email! After I happily replied to his email, he went into even more trouble to write a long and honest reply, parts of which I quote below and I would love you to read carefully. It will change your faith to humanity, at least with regard to translation company owners. I am continually told that we “are not like most agencies”, which I personally take great pride in. I was brought into the field before the era of the internet. I personally proofread hundreds of translations into English, and worked side-by-side with translators, learning how taxing, vexing, and beautiful translation truly is. Now that I am owner of the company, I preach the importance of treating translators like gold (nay, even better than that, “Greek gold!”) because you truly are the lifeblood of our success. I always want you to feel like we are right there in the trenches with you, and not have you feel like you are “like electricity” to be turned on and off without any notice. What irritates me to no end are many of the nasty remarks and cynicism that you see in LinkedIn translator forums about agencies “not doing anything, just marking up the prices” and this whole movement to “just get direct clients and by-pass agencies”. I generally ignore most of it, but this is one reason why I am not more active in forums, because I have just grown tired of the “language trolls” who insist on things being an adversarial relationship (most likely because they or their family felt personally wronged by some agency 112 years ago, and just refuse to let go of it, etc., etc.). And by the way, this does not mean that I have any problem or disagreement with your change in business model to work with direct clients as you are a company owner yourself. The difference is purely one of professionalism and positive attitude, both of which you clearly possess. In short, we are a “drama free” agency because life is short, and we have too much important work to carry out by people who are relying on us, and we should simply treat each other with respect and dignity and have fun learning from each other every day. …thank you for your great content on the industry in social media! This is appreciated by all of us in the industry. Feel free to share your positive experiences with either translation company owners/project managers or direct clients. If you feel up to it, you can also write a guest post for our blog in a similar format like this one, we’d love to publish it. Why bother with term bases, glossaries and style guides? Getting started in freelance translation: what we wish we’d known! Best app monetization method: Localization! Catherine, it was good seeing you in Dublin even if only for a short while. I would like to add that most people I have met in the translation work are honest and hardworking. There are sharks just like in any other business. One of the advantages of networking is that you have to be fair to yoru peers, even if they are competitors. Sales staff can be aggressive and clients want some kind of personal relationship in the 20th century. At least we try to offer that level at Pangeanic. There will always be pressures on cost and to produce more and freelancers should see technology (machine translation has the buzz word for some time) as an ally, not as a threat. As long as there are languages, time zones and publishing needs, we will be there. It was great to see you too Manuel and thank you for your comment. I agree that we shouldn’t treat technology & new tools (incl. machine translation) as a threat, but as an ally. Things in our industry, and especially the tools we use online and offline, have changed immensely the past 20 years. Change in the way we work can be scary and costly (both in money and time terms) sometimes, but at the end it improves our worklife and brings us new (and hopefully better) clients. Yes, most people I’ve met in our industry too are great in many ways, but every once in a while you meet (in person, via email or on social media) special people that go above and beyond to be helpful and build meaningful relationships. Finally! It’s good to read kind things about language agencies for a change. I too work for a LSP and I believe we are exactly as you described the one in your story. We’re small and very personal. Last Christmas our PMs got several season cards from some of our freelancers. My role is to promote ourselves and it is very hard when people–clients or suppliers–see us as the big fat guy smoking a cigar stump. Thanks a lot for sharing this.